Your first trip to Gettysburg can often be full of questions… Where do I start? How long should I stay? Where should I eat? Gettysburg has so much to offer, and it can often be difficult to plan your trip if you haven’t traveled here before, or you haven’t visited since that 7th grade field trip you took when you were in school. 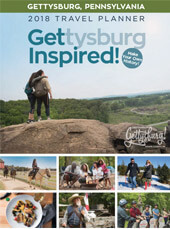 Destination Gettysburg is here to help! We asked our veteran Gettysburg visitors for their best Gettysburg travel advice. Check out their travel tips and suggestions.